The 89.25" Brentford Double Sink Vanity is a vanity that everyone is sure to love. 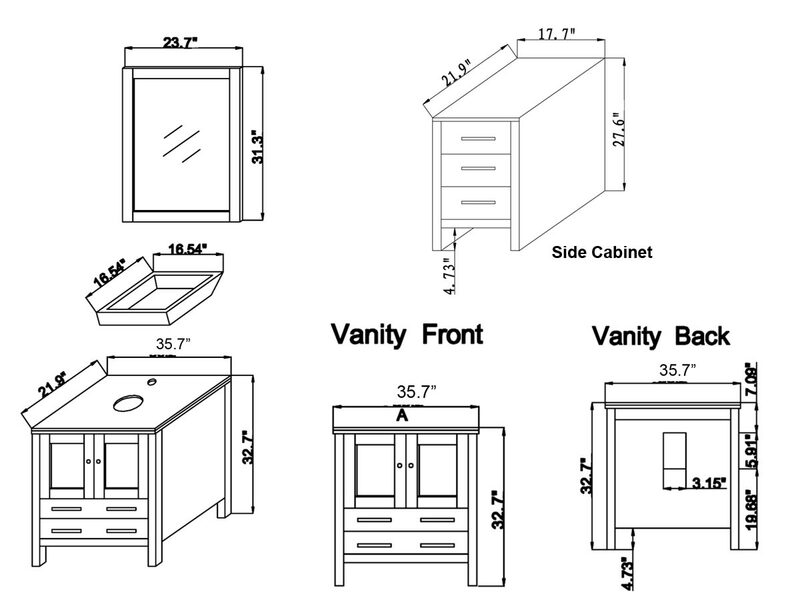 It comes equipped with all of the grand features of the 72" Brentford Double Sink Bathroom Vanity but is even better. 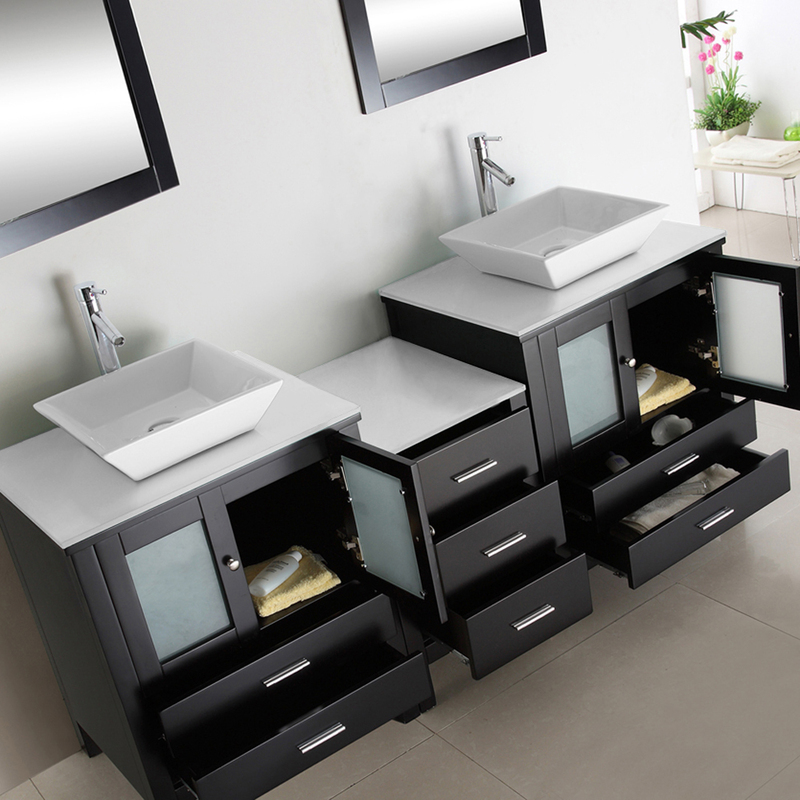 The added size lends more room for all of your storage needs. 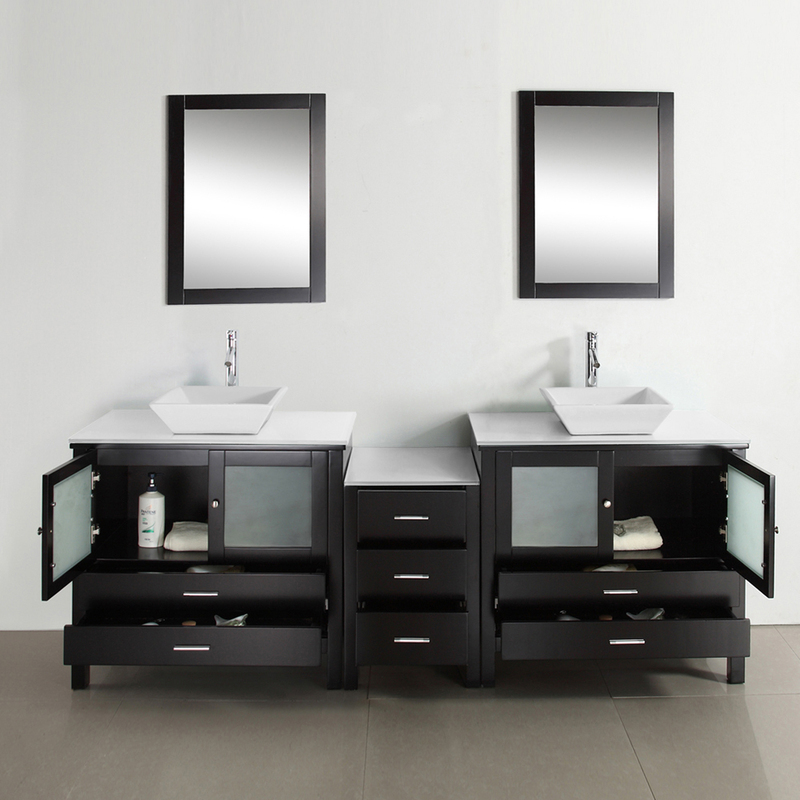 This vanity is made out of solid wood and therefore made to last for a long period of time. The counters are covered in tempered glass made to protect the wood and add a sense of longevity. 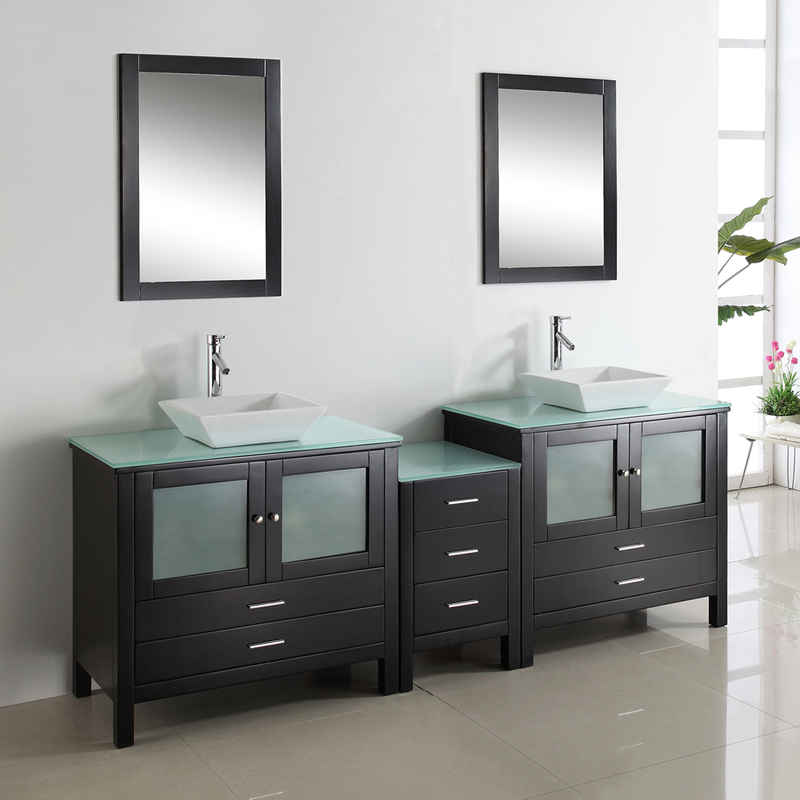 This vanity comes equipped with ceramic sink basins, brushed nickel hardware, pop up drains and matching mirrors to make the set complete.